» Potsdam’s Nightmare: What Happened to Garrett Phillips? In 2011, 12-year-old Garrett Phillips was killed in his upstate New York home. Years passed with no arrest, and now Nick Hillary, a former college soccer coach and an ex-boyfriend of Phillips’s mother, awaits trial on a murder charge. But Hillary and a vocal group of supporters say that he has been wrongfully accused. At 5:07 p.m., Hall’s fiancée, Marisa Vogel, called the police and told the dispatcher what they’d heard. Less than 10 minutes later, Officer Mark Wentworth knocked on an apartment door at 100 Market Street. No answer. He heard someone walking around, deep in the apartment, and he knocked again. Quiet. He no longer heard movement. He knocked again: “Police!” Perhaps children were home, he thought. Maybe they’d been taught not to answer the door for strangers. Rather than break down the door, Wentworth had dispatch call the building’s maintenance manager and ask him to come with keys. 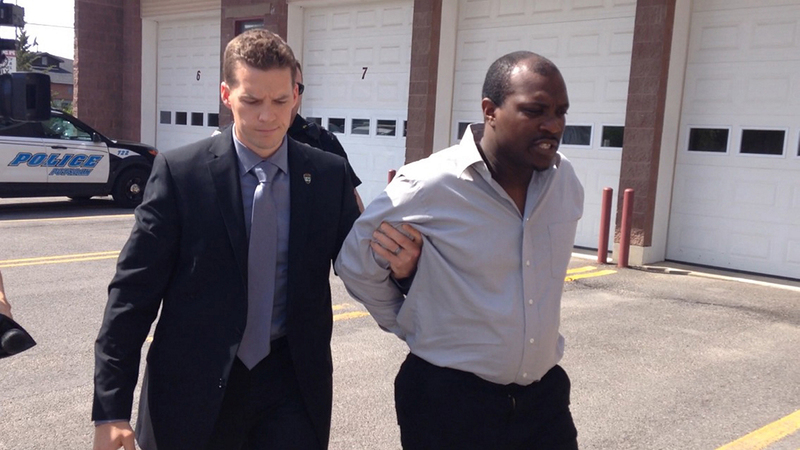 While he waited, Wentworth walked around the building questioning neighbors. Two boys lived in that apartment, they told him. The kids were always making some kind of noise. Only the bang and the moans had seemed strange. Minutes later the manager arrived and opened the door. He and Wentworth walked inside. The kitchen light may have been on, Wentworth wrote in a report. A piece of clothing may have been on the floor. There was an adolescent boy, just around the corner, lying on his back in the master bedroom, with his head facing the door. His arms were at his side and his legs close together. He wore a T-shirt and blue-and-white checkered shorts. He looked like he was sleeping. The room was in order; even the bedspread was neat. Aside from the child, everything appeared to be in place. Wentworth went down to the floor and checked for a pulse, for breathing, and he found that the boy was alive. He called dispatch for assistance and then began performing CPR. When the medics arrived, they took over a frantic effort to save the boy’s life. Wentworth’s mind flooded with questions: Where was the boy’s brother? Where was his mother? Had the child taken any medication? While he scanned the apartment, snapping photos, something caught Wentworth’s eye. In another bedroom, a window’s blinds and protective screen had been damaged. It was open. If someone else had been in the apartment, it appeared that person was gone. While Wentworth studied the scene, medics loaded the boy into an ambulance and drove him two blocks, to Canton-Potsdam Hospital. They prolonged his life but couldn’t save it. He died at the hospital at 7:18 p.m. His name was Garrett Phillips. He was 12 years old. 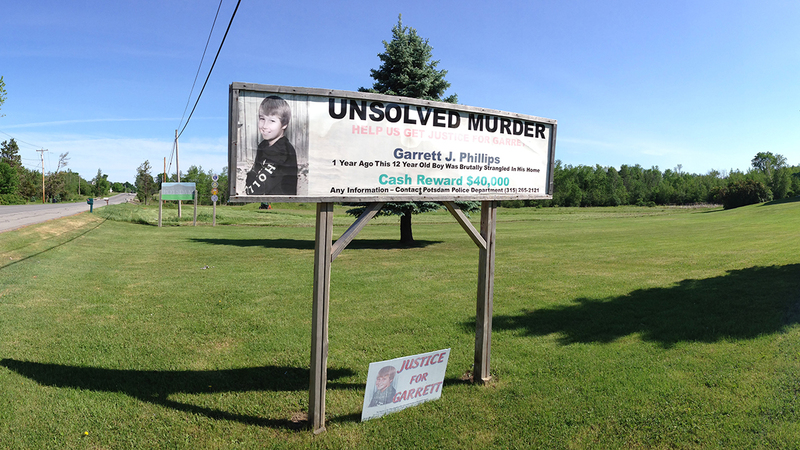 Martha Foley/North Country Public Radio A Potsdam lawn sign circa 2012 called for tips to help solve the case of Garrett’s killing. Garrett was kind and athletic and rowdy. He liked to play jokes and run wild with friends. He attended A.A. Kingston Middle School and played the role of the clown, a boy who would offer his brother chocolate milk and then give him chocolate water, who drew attention with his energy, his restlessness, and his need to push the limits of grown-ups’ rules. He hunted and fished and rode four-wheelers. He played damn near every sport. He was buried at Chapel Hill Cemetery and memorialized many times over — at his funeral at Knapp Station Community Church, in charity kickball games and balloon-release ceremonies, with his own memorial park that included a monument bearing his name. Says his mother, Tandy Cyrus: “He had absolutely no fear.” Cyrus is sitting in her office at SeaComm Federal Credit Union on a Tuesday afternoon this March, more than three years since Garrett’s death. She remembers that afternoon. Or fragments of it, at least. “I still can’t really wrap my mind around that day,” she says. “It’s a blur.” She offers few details right now — the district attorney has advised her to stay mum — but statements she gave police after Garrett’s death reveal more. That afternoon, Garrett was at school, playing basketball with friends. She called him and told him to go home and do his homework. Later, she drove by the apartment and saw a police car outside. Even then, she thought nothing of it, one statement says. Only later, at her younger son’s basketball practice, did the building’s maintenance manager find her and tell her the news. Cyrus called John Jones, a sheriff’s deputy and ex-boyfriend, and asked him to meet her at the hospital. Once there, Cyrus made her way into Garrett’s room. Her statement says nothing about her son’s appearance in that moment or how she felt. Not long after she arrived, Garrett died. His death was ruled a homicide. Coroner June Wood told reporters she saw “no cuts or bruises of any type,” and authorities eventually said he died by way of strangulation and suffocation. In the days, months, and years that followed, the story of Garrett’s death consumed Potsdam. There were cries for justice and arguments in bars and on message boards and everywhere else small-town gossip lives. Almost three years and one district attorney’s election cycle passed before an arrest was made. Even today, the pieces of the case are shifting. Charges have been filed. Barring a dismissal — and there has already been one dismissal — a trial is scheduled in late November. Yet as that trial approaches, questions have been raised regarding the integrity of the investigation and the possibility that authorities have charged the wrong person. Cyrus grew up near Potsdam in Parishville, almost as far upstate as New York goes, less than 40 miles from the Canadian border. Potsdam is a barely there town, and its neighbors are even smaller, places with populations under 2,500, where kindergarteners and 12th graders attend the same public school. She had Garrett in August 1999, and his father, her husband Robert Phillips, died of a brain aneurysm three years later. Cyrus remarried and had another son, Aaron, though the marriage didn’t last. She graduated from the police academy but decided not to become a cop. Instead, she started working at the credit union. On the side, she tended bar at a dive called Ton’s. That’s where she met Oral “Nick” Hillary, the head soccer coach at Division III Clarkson University. Hillary is Jamaican, balding and still fit, with a face that back then opened wide with every word he spoke. In the fall of 2010, he would stay late at the bar, nursing his Guinness while drawing formations on napkins and chatting with Cyrus. Hillary had three children but was splitting from their mother. Though he was a transplant and Cyrus was a local, they both felt restless in New York’s North Country. He wanted to be a Division I coach. She wanted warm weather. Maybe someday, they would both leave Potsdam behind. They spent nights at the bar, sometimes talking until it closed. Soon they were dating, and soon after that they moved in together. The home was packed: Hillary and Cyrus, her boys Aaron and Garrett, Hillary’s daughter Shanna-Kay, and on some nights, his sons Elijah and Lashaka-Mani. Cyrus let her boys keep up with their own homework. Hillary pushed for a more disciplined regimen. “Garrett told me that Nick was very strict and I have seen that,” Cyrus wrote in a statement for police. Hillary assumed a role of authority, like a father, and he had a rule: No television on school nights. Cyrus disagreed. “Nick would sit me down on a weekly basis and he would tell me everything that was wrong with my kids and my parenting,” she wrote. In the summer of 2011, while Hillary was on a recruiting trip, Cyrus sat down with her boys. They were unhappy, she wrote in her statement. They wanted Hillary to move out. Yet even after he and Cyrus stopped living together, she wrote, “We were trying to work things out.” Hillary helped her move into her new apartment — the one where Garrett would later be found — in mid-August. It’s unclear when and how the relationship fully dissolved, but Cyrus wrote that Hillary showed up twice at her home unannounced, once letting himself in and standing over her bed while she had been sleeping, and once again after he’d seen her dancing with another man. Cyrus asked him to return his key, and, according to her testimony, Hillary gave it to her. She wrote that she believed the last time he entered her apartment was on September 23 or 24. The next month, Garrett was dead. W.T. Eckert/Watertown Daily Times Nick Hillary sits for a newspaper interview. Hillary was born and raised in Jamaica and moved to Brooklyn as a teenager. He spent a semester at NYU before enlisting in the U.S. Army and serving in Iraq after the first Gulf War. He returned to the States, wanting to attend college and play soccer, and when he visited St. Lawrence University, in New York’s North Country, it felt like home. While there, he anchored the back line as sweeper for one of the best teams in Division III soccer history. He was fast, strong, and relentless, a conduit between the goalkeeper and the rest of the team. With Hillary as a senior cocaptain, the Saints won a national title in 1999. 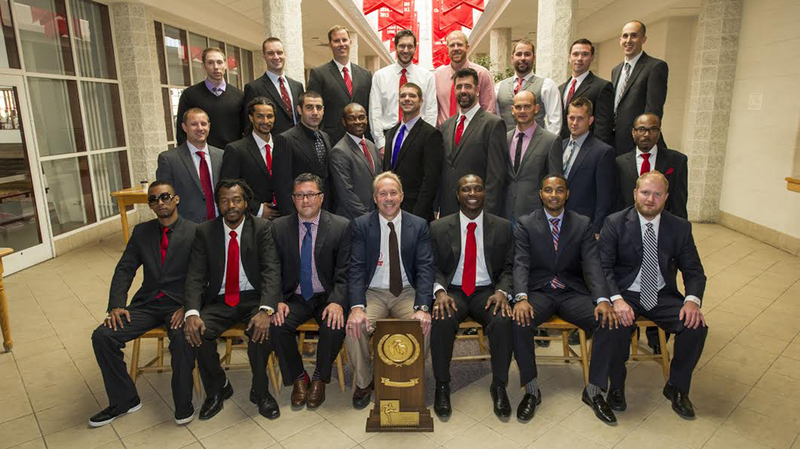 They were the first Division III men’s team to win a championship after going undefeated and untied. Hillary remained an outsider in the North Country, even after living in the region for more than a decade. In college, his team drew heavily from the Caribbean but had players from around the world, a United Nations of bros who danced and sang their way around campus. They were loud and audacious in their difference, aware of but never responding to the disapproving stares of others. St. Lawrence County is a place where generations have organized calendars around junior league hockey games and survived polite small talk by openly pining for the springtime thaw. It’s a place where every member of a family might live within a 10-minute drive of the others. And it’s 94 percent white, according to the 2010 census — you’re less likely to see a black person than to see an Amish family riding a buggy down Route 11. This is the point Hillary’s defenders make: No Jamaican was ever going to slip past the cultural blockades of this community. truthfornickhillary.com The 1999 Division III national champion St. Lawrence University soccer team, with Hillary seated third from the right in the front row. On the night of Garrett’s death, Lieutenant Mark Murray of the Potsdam Police Department visited Hillary at his home. Murray told him that Garrett was dead, and Hillary put his hands on his head. “Oh my god,” he said. Two days later, Hillary was summoned to the police station. After nearly an hour, he prepared to leave. He had to go to work. But as court documents reveal, police Chief Ed Tischler told him he could not go. “You have the right to remain silent,” Hillary was told. Hillary was read his rights but was neither cuffed nor jailed. Over the previous two days, police had been collecting evidence. Most of the evidence in this case remains unavailable to the public, but Grantland has obtained notes from officers, statements from potential witnesses, and documents pertaining to fingerprint and DNA tests. Police records show that officers spoke with two people who claimed to see Hillary near Cyrus’s home on the afternoon of Garrett’s death. A witness, Dale Rice, said he saw Hillary’s car just a few blocks from the apartment, between 4:43 and 4:45 p.m. Brian Phillips, the brother of Garrett’s late father, also said he saw Hillary driving a block from Cyrus’s apartment between 4:30 and 5. Cyrus’s neighbor called the police at 5:07 to report the disturbing sounds coming from the home. The day after Garrett’s death, Lieutenant Murray went to watch Hillary coach Clarkson to a 2-0 win over SUNY Potsdam. Hillary remained mostly stationary, Murray wrote, except for a few moments when he couldn’t help but walk. Murray may have recalled the window at the scene of Garrett’s murder — the screen had been damaged and open, indicating that the attacker had pushed through. Perhaps the killer had jumped out to escape. Perhaps he’d been injured. At the Clarkson game, Murray noticed Hillary walking with a “significant limp,” the lieutenant wrote. Back at the station, Hillary was fingerprinted and questioned. He was stripped and searched. He said little. He requested a lawyer. Police confiscated his phone, his wallet, his clothes, and his keys. At 5:40 p.m., court documents say, he was released. Hillary wore a hazmat suit in place of the clothes police had taken. The September after Garrett’s death, Hillary filed a lawsuit against the village and police officers, alleging that his civil rights had been violated and that he’d been unlawfully arrested in the days after the crime. According to the suit, even though Hillary was never cuffed and never jailed, he was read his Miranda rights and detained at the police department for hours. His property was seized and his house was searched, all without a warrant. A year went by. Then another. The investigation continued, but district attorney Nicole Duve never brought charges against Hillary or anyone else in the case. The evidence, it seemed, was still lacking. It appeared as if Garrett’s killing might remain unsolved. Yet the case gained momentum in 2013, when it became a pivotal issue in the race for St. Lawrence County district attorney. On Facebook, Cyrus recounted an encounter with Duve, who saw her and then turned, walking away with “her tail between her legs.” Republican challenger Mary Rain reposted that status and campaigned with Cyrus by her side, accusing Duve of inaction. Rain promised that, once elected, she would bring charges against a suspect. And so, the following spring, less than five months after Rain was sworn in as Duve’s replacement, she brought Hillary’s case before a grand jury. Rather than appeal, Rain brought her case before a new grand jury, and Hillary was indicted again this January. With his trial set to begin November 30, the prosecution has remained tight-lipped. Sitting in her office this winter, Rain said only, “We’ll address that at trial,” when asked questions about her strategy for the case. Yet it’s possible to piece together an understanding of the case against Hillary, using the hundreds of pages of police records and court filings Grantland has obtained, as well as Judge Richards’s description of the prosecution in his dismissal of the original indictment. Those police records include the testimony about Hillary’s relationship with Garrett, witness statements placing him in the vicinity of the scene of the attack, testimony regarding his demeanor the day of the death, and notes from the police lieutenant who described him as walking with a “significant limp,” perhaps after jumping from the second-floor apartment. Many documents, however, remain out of reach. Only at trial will the state’s case be fully revealed. 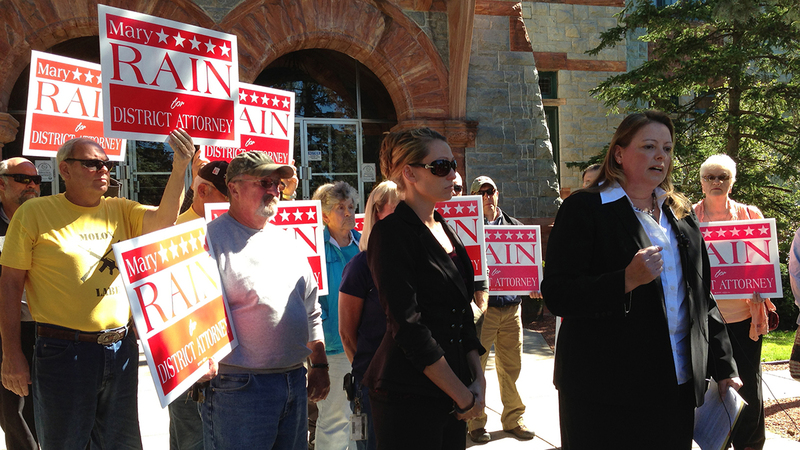 David Sommerstein/North Country Public Radio Mary Rain campaigns for St. Lawrence County DA in 2013, with Tandy Cyrus by her side. Tafari: Did anyone ever tell you that they saw Mr. Hillary at 100 Market Street the day Garrett Phillips died? Tafari: Did anyone ever tell you that they saw Mr. Hillary jump out a second floor window the day that Garrett Phillips died? Tafari: Did anyone ever tell you that they saw a black guy jump out a window the day Garrett Phillips died? Tafari: Did you ever hear that a black person was seen at 100 Market Street the day that Garrett Phillips died? Tafari: Mr. Hillary’s fingerprints were analyzed in this investigation, correct? Tischler: Yes, I believe. Yes. Tafari: Okay. And did those results connect Mr. Hillary to the Garrett Phillips homicide? Tischler: We have no evidence at this point that shows his fingerprints. Tafari: You didn’t get those results back? Tischler: No. We — the evidence — the results we got back have not placed him at that crime scene. Tafari: Mr. Hillary’s DNA was also analyzed during the course of this investigation, correct? Tafari: And did you get those results back? 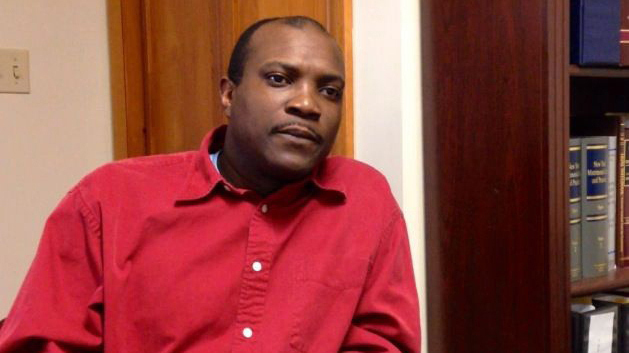 Tafari: Did Mr. Hillary’s DNA match up to any evidence you found at the scene of the crime? Tafari: So neither Mr. Hillary’s fingerprints or DNA connected him to the murder scene, correct? Tischler: At this point, no. Physical evidence isn’t required for a conviction in this case. Circumstantial evidence can be enough. Brian Phillips and Dale Rice said they saw Hillary within two blocks of Cyrus’s home that afternoon. According to Judge Richards’s dismissal of the original indictment, Rain used surveillance video in the original grand jury hearings “showing either Garrett Phillips or Oral [Nick] Hillary at different locations, some of them fairly near Garrett’s residence.” But Potsdam is a tiny town, Hillary’s defenders argue, and much of the traffic in, out, and through town passes by those apartments on Market Street. Hillary’s home was less than a mile from Cyrus’s home. His workplace was less than a mile from Cyrus’s apartment in the other direction. Hillary’s defenders say that he drove within a couple of blocks of Cyrus’s home that afternoon because that is the route between Clarkson University and his home. A search warrant written by Lieutenant Murray cites testimony from Hillary’s players, saying they described him in the hours after Garrett’s death as “significantly out of character from his norm.” And yet the notes from interviews with those players say only that Hillary was unusually cheerful and upbeat. Hillary’s call to his attorney shortly after the crime was committed may seem suspicious, but Tafari is more than just Hillary’s lawyer. Tafari, a fellow Jamaican, played soccer with Hillary at St. Lawrence and the two are close friends. Hillary’s phone records show several calls between them on the days immediately before Garrett’s death, as well as many more earlier that month. Although Lieutenant Murray wrote in a search warrant application that he observed Hillary walking with a “significant” limp at a soccer game the day after Garrett’s death, when police interviewed Clarkson players, none of them recalled the limp. Some even said that Hillary had kicked the ball around at practice that day. Video of that game shows Hillary walking from the sideline to midfield after the final whistle. There appears to be no limp. None of this exonerates Hillary. But if Hillary were capable of violence against Garrett, these notes suggest he had never shown it. Likewise, they indicate that if Garrett had issues with Hillary, they stemmed in part from peers who mocked him because his mother was dating a black man. W.T. Eckert/Watertown Daily Times Potsdam village police Lieutenant Mark Murray escorts Hillary into the police department for booking in May 2014, more than two years after Garrett Phillips’s death. Hillary’s defenders consider a man named John Jones, another ex-boyfriend of Cyrus’s, to be a worthier target of the state’s attention than Hillary. Jones is a St. Lawrence County sheriff’s deputy and lifelong North Country resident. On September 24, 2010, soon after Jones and Cyrus had broken up, Jones saw Cyrus and Hillary riding together in a car. After Hillary dropped Cyrus off, Jones followed Hillary to his home, where he marched up the driveway and knocked on the door. About four months later, after Hillary had moved in with Cyrus, she filed a separate complaint about Jones. “[He] has been acting in various ways that causes me to fear for the safety of myself and my sons,” Cyrus wrote. After their breakup, Cyrus wrote, Jones took everything she owned and dumped it outside his house without telling her. He’d also sent “threatening text messages,” she wrote, and the next month, after she’d asked him not to contact her, he showed up at her new home. In the statement, Jones recounts his whereabouts and activities on the day Garrett was killed. He’d been on a conference call, he wrote, from about 3:30 to 4:35 p.m. After that, he drove to the credit union to make a payment on his truck, and then home, where he arrived around 5 p.m. He got his dog, a chocolate lab, and went for a walk before returning home between 5:10 and 5:15. Once he got home, he worked on his taxes. Minutes later, Cyrus arrived. Minutes after that, Garrett was dead. Hillary has filed a notice of alibi. It states that during the window in which the crime took place — 4:56 to 5:30 p.m. — he was at the home of his assistant coach, Ian Fairlie, for part of the time, and at his own home, with his daughter, for the remainder. But in a town as small as Potsdam, geography limits the efficacy of alibis. Both locations — Fairlie’s apartment and the home Hillary shared with his children — are within a mile of the apartment where Garrett was found. And so it is with Jones. He lived within a block of Potsdam Central High School and directly across the street from Canton-Potsdam Hospital. The hospital’s surveillance cameras captured movements of a vehicle matching the description of Jones’s car that afternoon. State investigators put together a document showing a timeline of the afternoon, which relies on surveillance footage and mentions Jones several times. At 4:52:02, the timeline says Jones arrived home. Seconds later, it says Garrett left the school grounds, where he’d been hanging out with friends. At 5:12:33, it indicates Jones can be seen again, walking his dog. The emergency call was placed from Cyrus’s apartment building at 5:07. Her apartment was just around the corner from his home, and about a half-mile from the school where Garrett had been playing. He discussed his run-ins with Hillary. They had been friendly acquaintances — Jones’s son played soccer, so occasionally he and Hillary discussed the best path for the boy’s development. They’d both been regulars at Ton’s, the bar where Cyrus worked. And then they’d encountered each other early on the morning of September 24, 2010, when Jones confronted Hillary after seeing Cyrus in his car. This was the event that led Hillary to file the complaint. “Tandy and I had separated, and I was trying to get a bearing on, were we going to make things work in this relationship or not,” Jones said. “And I had to come home early, and I’m standing there, pumping gas, and I see them. I see Nick’s car go by. “So I wanted to make sure my suspicions are correct. I go, ‘I’m positive that was her.’ Sure enough, she pulls out and goes one way. He goes to his house. So I go, ‘I’m just gonna have him man up.’ This is six in the morning, probably. I can’t remember the exact time. “So I immediately go and confront Nick. And I respect my job in law enforcement. I’m not going to be physical with anybody. I’m not going to jeopardize my career. “So I knock on the door. I go, ‘Listen. Help me understand. Are you and Tandy together?’ He goes, ‘No.’ I go, ‘Nick, come on. I just saw you drop her off at Ton’s. All I’m asking you — just man up. I don’t want to be the last person in Potsdam to find out you two are seeing each other.’ Because I was still under the assumption that we were going to get back together. Sitting in the lobby, Jones moved ahead to the day of Garrett’s death, to the video Hillary’s attorneys believe may implicate Jones. To him, the surveillance footage supports his initial statement of his whereabouts on the afternoon Garrett was killed. “People don’t understand I knew nothing about that video,” he said. “And most people can’t tell you what they were doing yesterday at 4:50 in the afternoon, much less what they were doing four days prior.” Jones told police he arrived home around 5 p.m. The video shows him pulling into his driveway at 4:50, according to officers’ notes. Jones told police he took his dog for a walk and returned home between 5:10 and 5:15. The timeline says Jones was with his dog between 5:12:33 and 5:13:47. He continued: “People are always probably going to associate me with this. Now, if Nick’s found guilty, all will be forgiven. People will probably be like, ‘Yep, they got the right guy.’ But what if he isn’t [found guilty]? People are going to say there’s somebody else out there. The cloud of suspicion comes back to me. The first day of Nick Hillary’s trial in the killing of Garrett Phillips is scheduled for November 30. On Monday, Judge Richards issued a gag order, barring attorneys on each side from making any more public statements about the case. When the prosecution begins its opening statement against Hillary, it will be trying a man who was detained and had his property seized before police had obtained a warrant, who has been arrested and indicted despite an apparent lack of physical evidence, and who was charged only after a new district attorney campaigned on the promise of an arrest. Hillary will stand trial in a killing that has consumed his town, facing a prosecutor whose career may hinge on his conviction, and before a small-town jury in an insular county that is 94 percent white. Through all of this — the initial push to bring a killer to justice, the suspicion over Hillary’s involvement that led to his eventual arrest, the lawsuit and criminal proceedings — the search for justice has sometimes overshadowed the memory of the 12-year-old boy who was killed. Today, Garrett exists as an image — in signs and on petitions, in a memorial park and on Facebook pages. When asked about her son, Cyrus draws from pictures as much as she draws from memories. There’s Garrett as a toddler, pretending to surf on the chair in his father’s hospital room, shortly before his dad’s death. There he is again riding a tube down the river, arms out and smiling with his hair cut in a flattop. Garrett loved April Fools’ Day and cared little for video games. He was smart but restless, sweet but loud. He walked at 9 months. He rode roller coasters at 10 years old. He dominated on the lacrosse and soccer fields, but he was just as happy at the hockey rink — anywhere he could sweat and compete and surround himself with friends. And on the afternoon of October 24, 2011, just after he finished playing basketball, Garrett took a call from his mother and rode his skateboard home from school. According to officers’ notes, surveillance video shows a child passing the hospital on a skateboard at 4:50:29. About 15 minutes later, the neighbors heard a scream.